Toadies will play an in-store at Austin's Waterloo Records at 5pm while Sarah celebrates by playing Dallas' Good Records at noon. Toadies are also releasing a limited edition acoustic single featuring tracks recorded live at last year's Dia De Los Toadies. 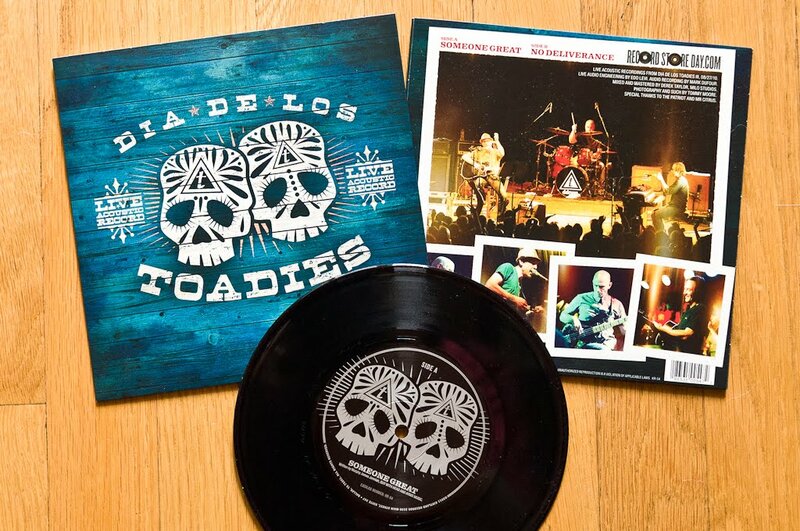 UPDATE: Toadies 7" makes SPIN's must have list. Toadies' St. Patty's Show Sells Out!